Winter holidays celebration concept. Girl with long hair celebrate new year and christmas. Festive fashion, style, decorations. Xmas party drinks, toast, alcohol. 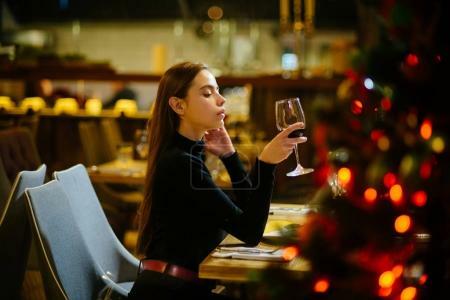 Woman enjoy wine in restaurant.